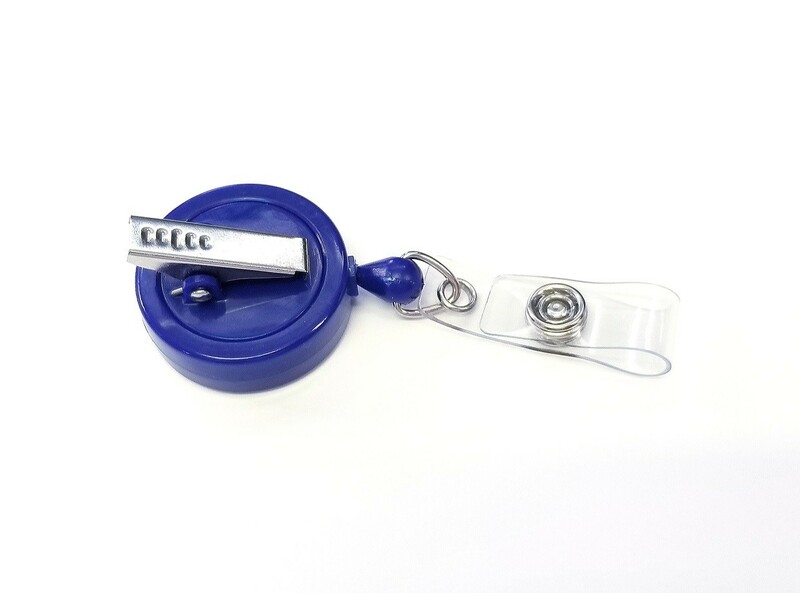 Blank Badge Reels with Alligator Pinch Clip on Back In Stock! Low Prices! 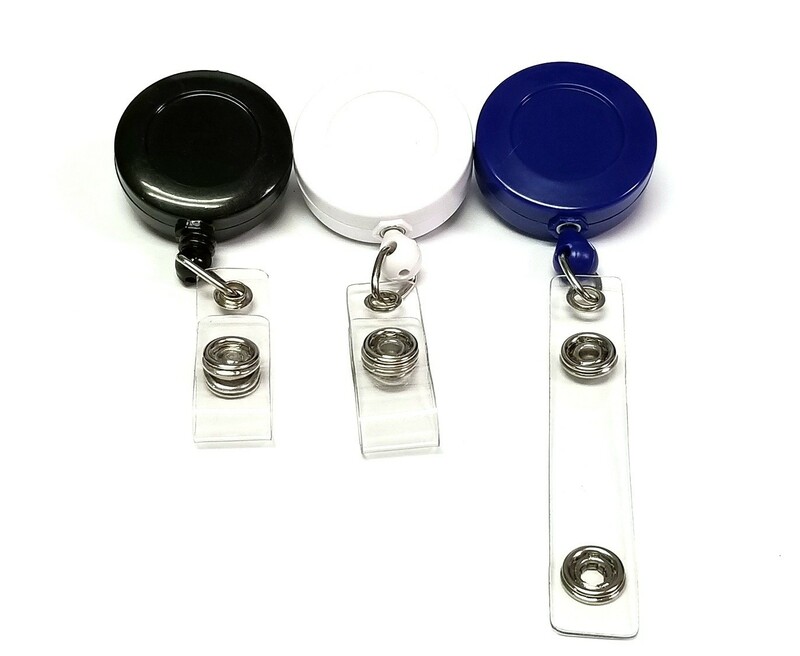 These retractable ID badge reels are perfect for teachers, nurses, employees or for holding security name badges at the office. 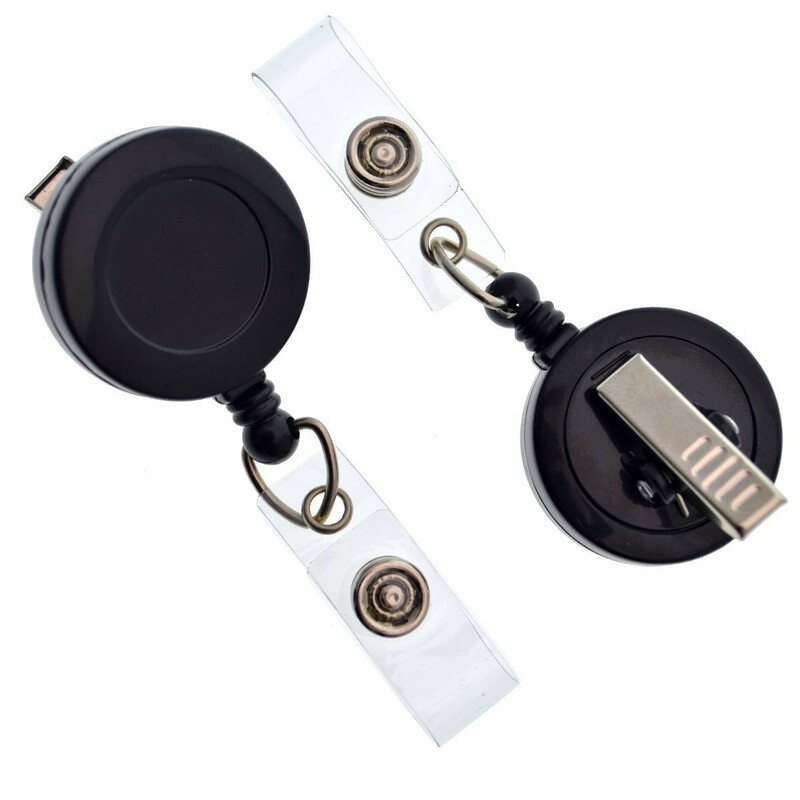 Our badge reels come with a 26" retractable cord with a flexible vinyl snap attachment which works perfectly as an ID holder. 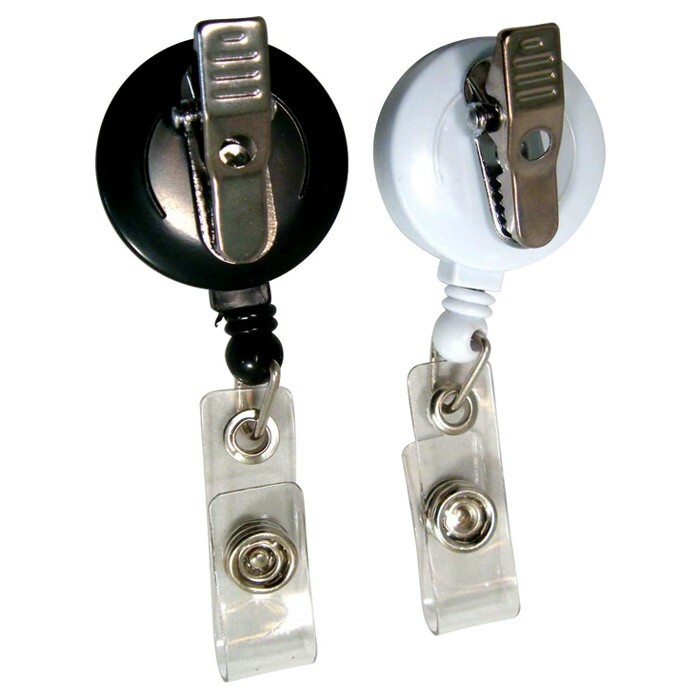 You'll be surprised when you compare our low priced badge reels.These items have rotating reels, the alligator pinch clip (single tooth) rotates 360 degrees. High Quality Plastic. Won't warp from heat. 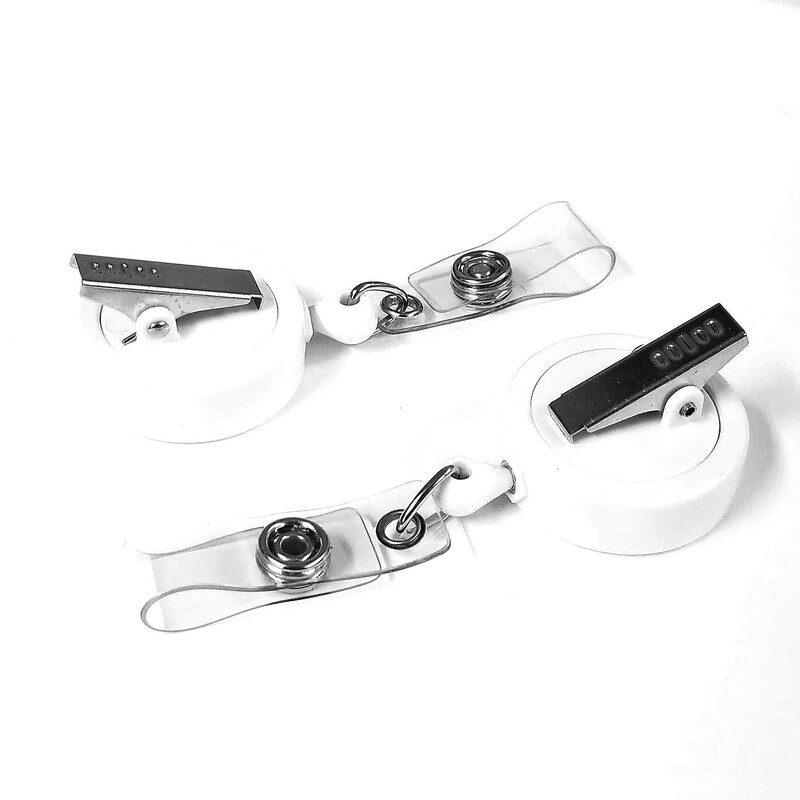 Highest quality spring wheel for FAST action retraction that will last a lifetime. 24" Length cord 1 1/8" diameter wheel with Spinning Alligator Pinch Clip on Back and flexible acrylic snap attachment. Placed the order and they shipped the same day.